Beauty is in the eye of the beholder or maybe beauty just depends on what you're holding. Today I'm holding Modere. I had the opportunity to try Modere*, a beauty & home brand that uses pure, natural, & ethical ingredients. How it works: Modere is a beauty box like all the beauty boxes we know & love; however, Modere comes with 5 full-sized products as well as 4 samples. You are able to enjoy the samples risk-free for 7 days. If for some reason you don't like the items & don't want the full-size products, you're free to return them using your prepaid return shipping label. If you decide you do want to keep it, the $79.99 is charged to your card. Phew! What's in the box: This beauty box includes: Exfoliant, Anti-Aging Serum, Antioxidant Gel, Antioxidant Hair Serum, & Dual Action Eye Gel. The Exfoliant has some key ingredients such as prickly pear cactus extract, jojoba beads, & vitamin E. Apply a small amount to your hands & then gently massage on to your face & neck. Rinse. This is a mild exfoliant with a creamy formula. It exfoliates your skin without being too harsh or drying. It has a nice, mild scent. Retails at $12.99. The Anti Aging Serum is slightly milky & runny in consistency. The serum is supposed to encourage firmness, hydrate your skin, & enhance luminosity. When it comes to skin care products I'm never going to lie to you by saying it did something that it didn't. I can't say I see any difference, but it smells lovely & makes my face feel prepped for the day. Retails at $39.99. This Antioxidant Gel is my favorite product!! It comes in a 1 oz. tube. It has citrus extract so it smells like sweet orange. The gel is very similar to a primer because it leaves your skin velvety smooth & soft. I love how my skin feels. This is said to moisturize your skin, improve firmness, & fine lines. And it does! Retails at $24.99. I would absolutely repurchase this. This Antioxidant Hair Serum has a variety of natural oils like jojoba oil & argan oil. Apply a small amount to wet or dry hair. I found that this serum really helps me with my dry ends. It makes everything look a bit more well put together, shiny, & manageable. Definitely a great product to use in the winter. Retails at $21.99. 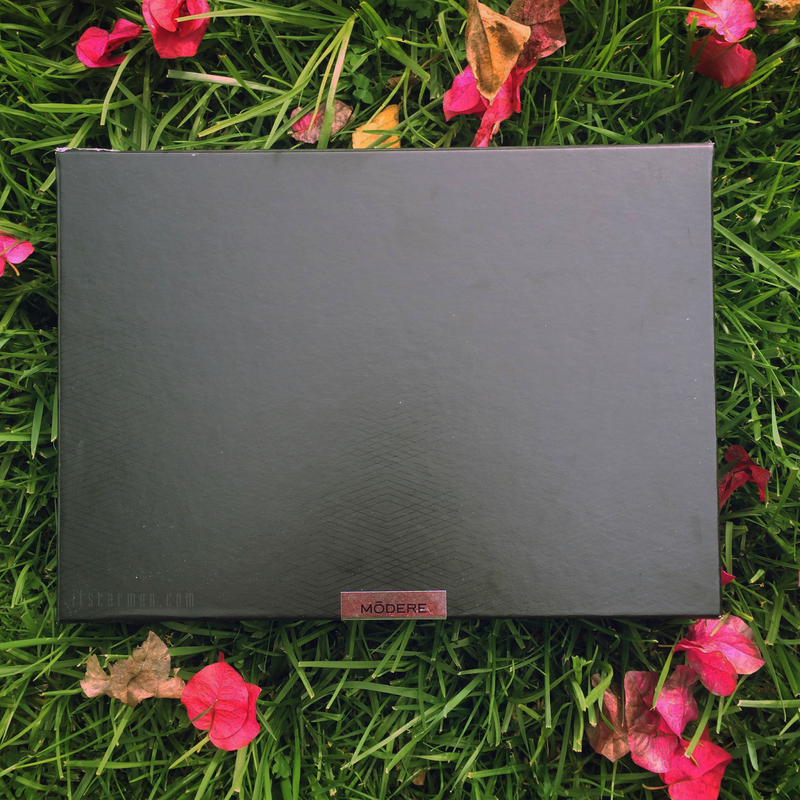 Overall, I did enjoy the Modere Beauty Box. My favorite items are the Antioxidant Gel & the Antioxidant Hair Serum. These are items that would repurchase myself. The only negative I have is that the lid sometimes gets loose when you twist off the cap, so some product leaks out. I recommend sampling the box & then you can decide if you'll keep it, or you can buy the items individually. Find the box here. Have you ever tried Modere? Any of these products sound good? What's your favorite beauty box? Great in depth review I haven't heard of them before but it's definitely something I'll think about! I haven't heard of this brand before but it sounds interesting. I'm not much of a beauty box person though, I prefer to pick my own products. This sounds like a really great beauty brand. I'm always a huge fan of products that use natural and ethical ingredients! Great review dear! I would love to try it out! I am seriously getting into these beauty boxes! My daughter (and husband) just signed up for Birch Box and I'm going to do some perusing around to see which one I'll sign up for. I love that this product is all natural. Thanks for sharing. Wow! I would really love to try these out! That looks like an amazing product! I love the way it's packaged and although I have never heard of the brand, they sounds really good! I've not heard of this brand before but it sure does sounds interesting. I do love the idea of this box, I think it's a great way to try products. Great review, Carmen! I love that you can try before you buy. That's a great way to get business! I'd like to try something like that, but beauty boxes here in Italy are not ad nice as this one! Haven't heard of it before but sounds great! Haven't ever tried a sample box but I must try one soon!